I observed a coyote stop at three distinct spots before it returned to the first spot where it picked up a dead rat. As I’ve seen before, when there is no struggle or effort, I know that the rat was dead. I don’t know if the coyote killed the rat earlier on and left it there, or if the coyote found the rat already dead. These photos show the coyote giving a hard bite to the head — enough to sever it but not completely. The head is then pulled off, holding the body down with its forepaw. Hmmm. Now we have a decapitated rat. The coyote then rolled on this — I’ve seen this before, too: coyotes like wallowing on smelly dead animals. The coyote then shook himself out and urinated on the carcass. And then. . . . wandered off and that was the end of that. So, there is a possibility — only a possibility — that this is an acutely perceptive coyote who did not eat a rat because he knew it was poisoned. He urinated on the rats when he checked on them the day before. And he left them all where they were, decapitated. 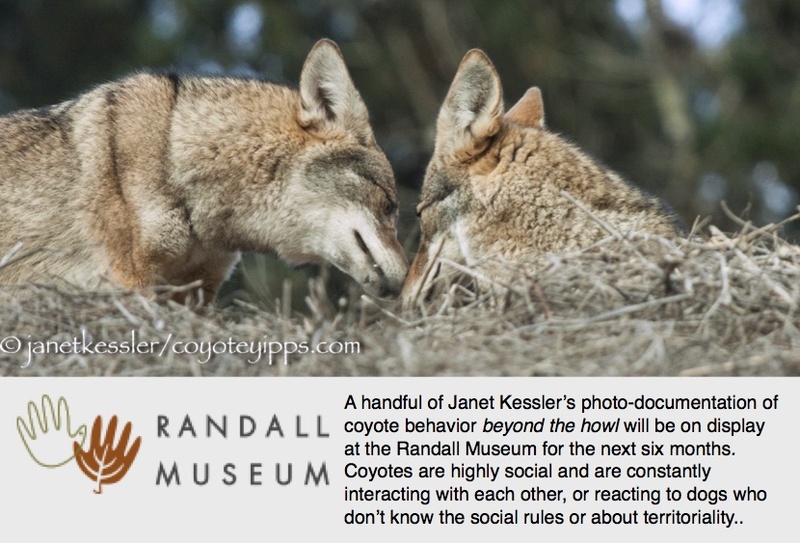 Maybe the decapitation and urinating on them were messages of warning to other coyotes? These rat remains stayed where they were for a full day. I was in that same area the next morning. The fog was extremely dense which did not help the quality of my photos. But twice I saw a raven fly down to that very rock and pick something up. My photo shows — barely because of the fog — the raven holding the rat with its long tail. During his first flight the raven must have picked up the separated head. Ravens are scavengers and will eat carrion. Our wild critters have a way of cleaning up the environment for us if we allow them to do so — not our messes, but their messes. I hope the rat was not poisoned — that it might have been was only speculation — and an opportunity to write about that possibility. I have not seen any dead ravens.